Of, relating to, or characteristic of poets or poetry. The migration, or scattering of a people away from an established or ancestral homeland. 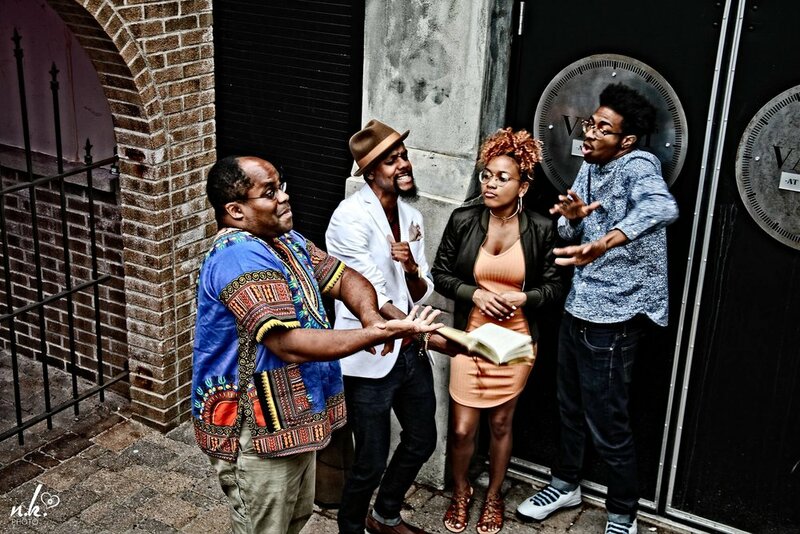 Journeying through the sonically diverse realms of old school and new school hip hop, R&B, funk, and soul, Joe Davis & The Poetic Diaspora seamlessly blend melodic harmonies, smooth instrumentation, and raw, poetic energy to tell stories of struggle, resilience, and celebration. Formed in the heart of the Twin Cities, Minnesota, the collective is dedicated to crafting vibrant soundscapes around honest narratives that reflect their community's sacred humanity. Each song is an ancestral echo, a battle cry calling for freedom, an unending dance for justice and joy, welcoming all of the diaspora home.